CCD Glass Lens Give Sharp & Clear Picture, High Definition Image Sensor. Auto Adjust Brightness, Extra Bright and Dynamic Picture, Dust Proof Camera. Advance Circuit Empowers The Vision and Durability, High Class 8 LED & 100% Night Vision. Hi-Definition, Wide Angle, 6M RCA, Hole SAW, CCD Chipset. 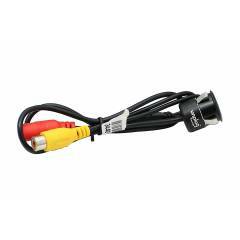 Unplug Car Rear View Night Vision Camera, UNP LEDCAM003780 is a premium quality Car Video Monitors from Unplug. Moglix is a well-known ecommerce platform for qualitative range of Car Video Monitors. All Unplug Car Rear View Night Vision Camera, UNP LEDCAM003780 are manufactured by using quality assured material and advanced techniques, which make them up to the standard in this highly challenging field. The materials utilized to manufacture Unplug Car Rear View Night Vision Camera, UNP LEDCAM003780, are sourced from the most reliable and official Car Video Monitors vendors, chosen after performing detailed market surveys. Thus, Unplug products are widely acknowledged in the market for their high quality. We are dedicatedly involved in providing an excellent quality array of Unplug Car Video Monitors.